Bayfront At Rehoboth Lewes Delaware Homes. There are currently 7 Bayfront At Rehoboth Lewes Delaware Single Family Homes for sale. 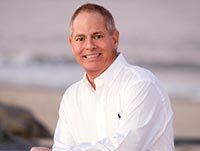 We are your Lewes Delaware real estate specialist offering ALL Bayfront At Rehoboth Single Family Home sales Lewes Delaware Real Estate For Sale. This mint condition home is perfect for those desiring an upscale lifestyle that offers a balance of activity and privacy. For the active you, this home is Located in the picturesque Bayfront at Rehoboth community with its many amenities to enjoy: swimming in the community pool, socializing or exercising at the upscale community center, walking or biking the nature trails & pathways through the beautiful marshlands that end at a private beach, a Gazebo, and a Kayak Launch onto Rehoboth Bay. For the private you, this home is situated on a premium wooded lot with lush greenery, extensive, mature landscaping backing up to woods. Lawn care is included in your HOA fees. As you walk into the front entrance of this home, you take pause ~ it becomes immediately clear you are entering an upper echelon of a quality custom building. This 4 bedroom, 3 ~ bath home features 8 Ft. high interior doors, 10 Ft., 12 Ft., & 14 Ft. ceilings with tray ceilings in the Dining Room and Owners Suite and a Vaulted Ceiling in the Great Room. All these features work together to create spaciousness, while the rich moldings (double crown moldings & 8 inch floor moldings) and chair railing create class, warmth & coziness ~ the best of both worlds! The Great Room opens to a gourmet kitchen and flows into a sitting area serving as an anteroom for both the Owners Suite and for a Multipurpose Room with its own closet and full bath. The kitchen boasts stainless steel appliances, 6 burner gas cook top, vented hood, double ovens, built-in mircowave/coection oven, antique white Maple ~soft-close~ cabinets, granite counter tops, an oversized breakfast bar and a second breakfast/lunch island. There is also a separate dining area to use for casual meals or as a workplace for children to complete homework while the parent is preparing snacks & meals. The sizable Master Suite boasts a large walk-in closet and a luxury bath with double sink corian counter tops, a soaking tub, oversized shower & water closet. Two additional bedrooms with a ~Jack and Jill bath~ have wide engineered hardwood plank floors and are on the front side of the house. And a library/bedroom and powder room are on the opposite side of the house that provide additional privacy for those who require a more separate bedroom or a home office. To simply relax, entertain friends, enjoy cocktails or to dine alfresco, there is a 2-tiered spacious custom courtyard patio with 2 outdoor bars, firepit, gas grill and plenty of seating space. For the animal lovers, there is also a fenced-in spacious rear yard that your pets will enjoy and be secure. This home has it all. And, only a 10 minute drive to all the Rt. 1 shopping, dining & entertainment, with a few more minutes to the beach! Make this home your Coastal Retreat! Coastal Living at its finest! Retreat to this elegantly appointed 3 Bedroom, 2 1/2 Bath home and relax after a busy day at work, or after taking advantage of this highly desirable Bayfront at Rehoboth community's many activities: swimming at the community pool, tot lot, socializing or exercising at the upscale clubhouse, walking or biking the nature trails and pathways through the captivatingly beautiful marshland that leads to a Gazebo and Kayak Launch on Rehoboth Bay. Enjoy the Coastal Delaware wildlife along the way. This highly upgraded oasis is on .46 acre Wooded Lot on a Cul de Sac providing optimum Privacy and Serenity. Trees abound, yet you will be struck by the abundance of recessed lighting and the cascading light streaming through the oversized windows. A Cathedral ceiling Great Room with fireplace, an impressive Gourmet Kitchen, elegant Dining Room with designer chandelier leading onto a screened porch with skylights that welcomes in even more sunlight! Attention to detail by the owner in choosing many Designer upgrades & custom paint will add to your appreciation of the beauty of your new home. A welcoming foyer flows seamlessly into a custom Library, Great Room, Gourmet Kitchen & Dining Room. 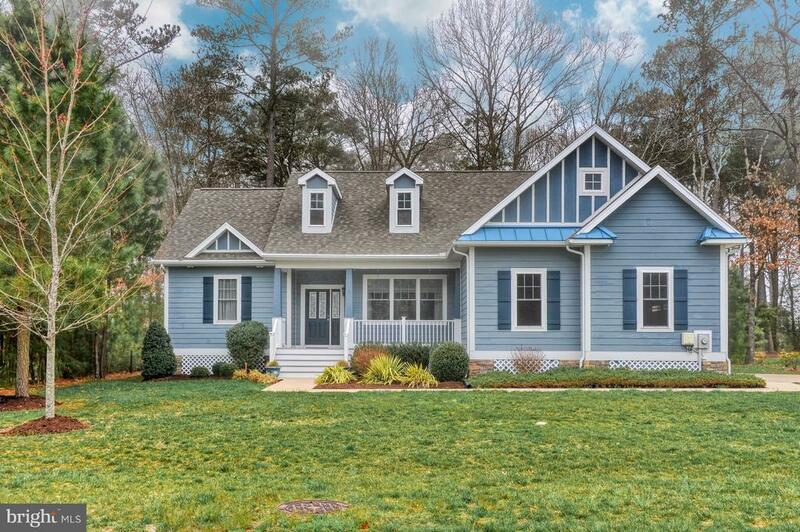 Enjoy the abundance of custom built-in cabinets with rich millwork trim & crown molding and wide plank Hickory hardwood floors throughout common areas & all bedrooms. The owners Suite boasts a tray ceiling, bay windows, walk-in closet and a luxury ensuite with marble floors and marble floor-to-ceiling tiles in the shower. ~Stunning & Smart~ are the only words to describe the kitchen; two islands with Quartz countertops, tasteful black splash, lighted cabinets with built-in soft close drawers, designer pendants, Sub Zero refrigerator, Wolf stainless steel appliances, built-in wall 2nd oven & microwave and oversized farmers sink. One island for food prep. A second island -- the custom designed main island -- functions as the "heart" of the home. It serves as the owners "Command Center": casual daily dining, workplace for children to complete homework while parent is preparing snacks and meals, family meetings, center for coersations or where the host/hostess can manage, while still being part of, any sizable cocktail or formal dinner party. In warmer weather dine alfresco on the exceptionally spacious backyard travertine tiled Courtyard featuring a large custom island with built-in grill and refrigerator. Or simply use it to relax with drinks and hors d'oeuvres around the custom gas fire pit. Only a 10 minute drive to all the Rt. 1 shopping, dining and entertainment. And a few more minutes to the beach. Make this home yours ~ Life at the Beach does not get better! Experience luxury coastal living in this bayfront community with private beach on Rehoboth Bay, kayak launch, pool, community center, walking trails, & more! MODEL LEASEBACK AVAILABLE on this Easton Model Home. Start building your dream home today in this amenity rich development where HOA fees include all lawn maintenance, trash removal, amenities, and more! Lot buyer to pay water and sewer impact fees. Start living the beach life today! 17 Lots available ranging from $129,500 to $152,500 available with no builder tie-in or timeframe to build or as a lot home package! Some of the last lots - get in before this beautiful bayfront community is sold out! Rare opportunity for a large almost 1/2 acre lot in an established community coenient to downtown Rehoboth and Lewes! $3,240 per year HOA with house and $3,000 per year HOA for unimproved lot. Experience luxury coastal living in this bayfront community with private beach on Rehoboth Bay, kayak launch, pool, community center, walking trails, & more! Available as lot with no builder tie in or timeframe to build for or as a lot home package with the popular Arrington model by Select Builders. Start building your dream home today in this amenity rich development where HOA fees include all lawn maintenance, trash removal, amenities, and more! Lot buyer to pay water and sewer impact fees. Start living the beach life today! 14 Lots available ranging from $129,500 to $152,500 available with no builder tie-in or timeframe to build or as a lot home package! Some of the last lots - get in before this beautiful bayfront community is sold out! Rare opportunity for a large almost 1/2 acre lot in an established community coenient to downtown Rehoboth and Lewes! $3,240 per year HOA with house and $3,000 per year HOA for unimproved lot. MODEL LEASEACK OPPORTUNITY AT BAYFRONT AT REHOBOTH! Experience luxury coastal living in this bayfront community with private beach on Rehoboth Bay, kayak launch, pool, community center, walking trails, & more! Available as lot with no builder tie in or timeframe to build for $129,500 or as a lot home package with the popular Arrington model by Select Builders for $493,255. Start building your dream home today in this amenity rich development where HOA fees include all lawn maintenance, trash removal, amenities, and more! Lot buyer to pay water and sewer impact fees. Start living the beach life today! Rare opportunity for a large almost 1/2 acre lot in an established community coenient to downtown Rehoboth and Lewes! 14 lots available ranging from $129,500 to $152,500 with no builder tie-in or as lot home package. $3,240 per year HOA with house and $3,000 per year HOA for unimproved lot.